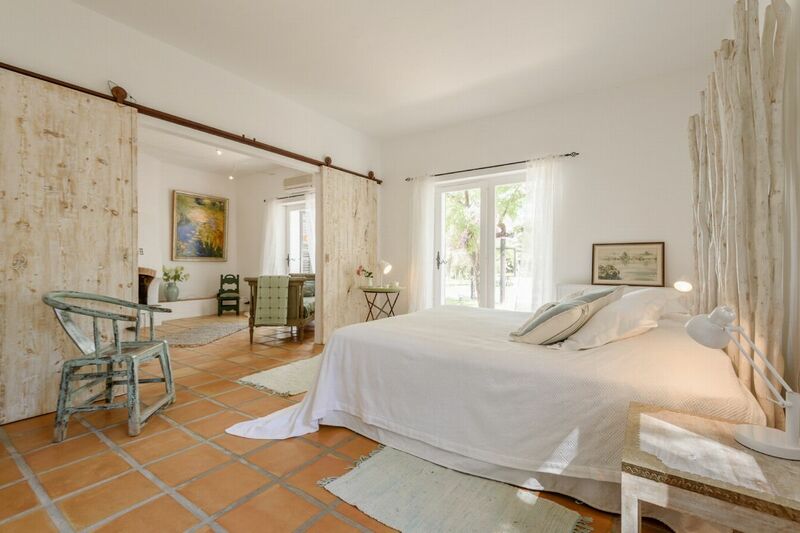 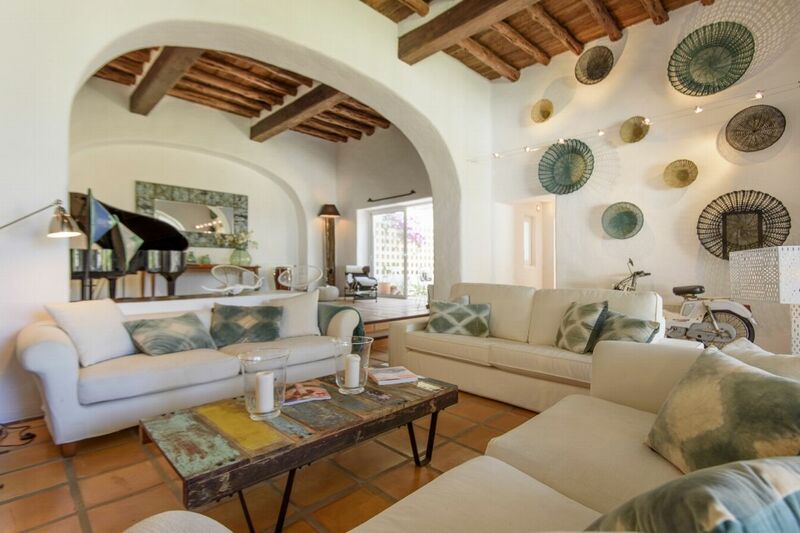 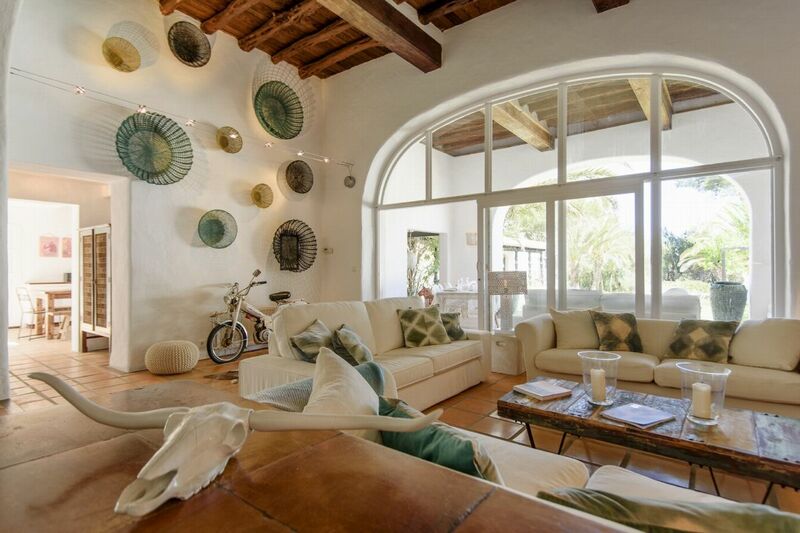 Charming country villas located close to the best beaches on the west coast of the island. 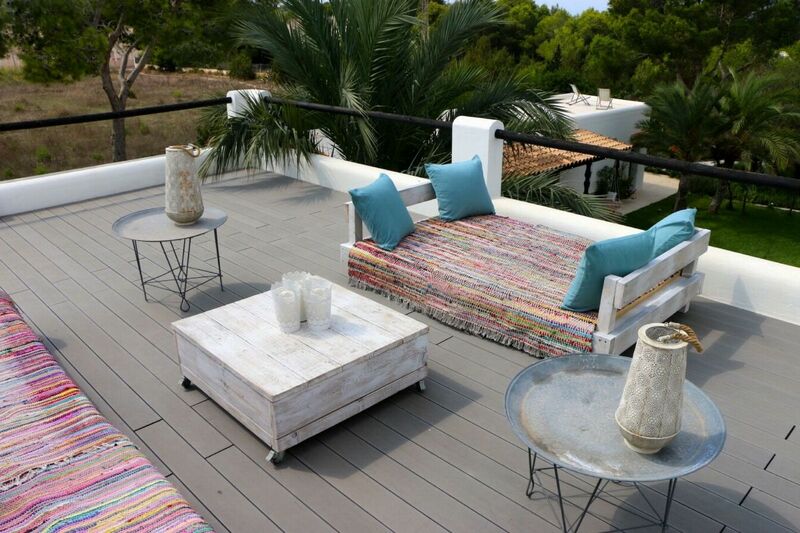 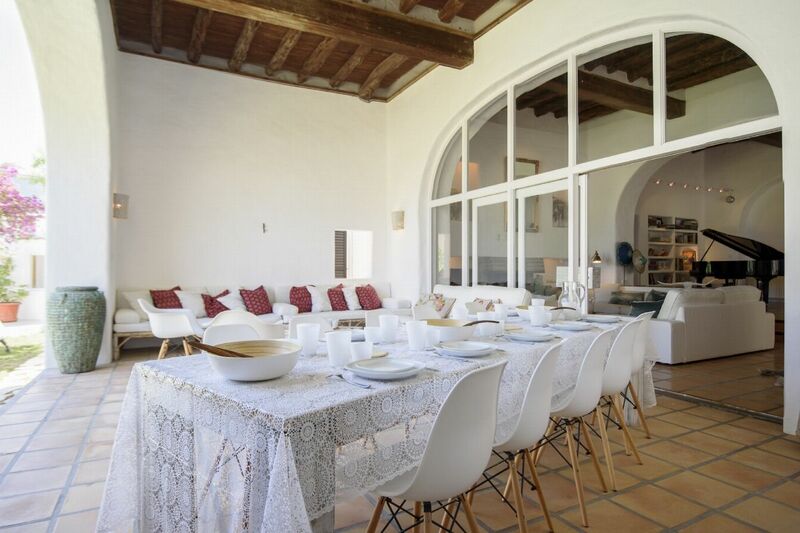 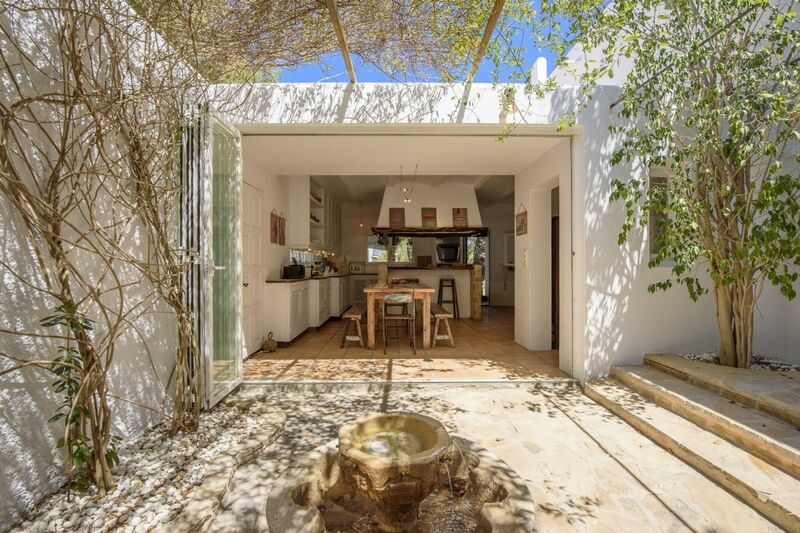 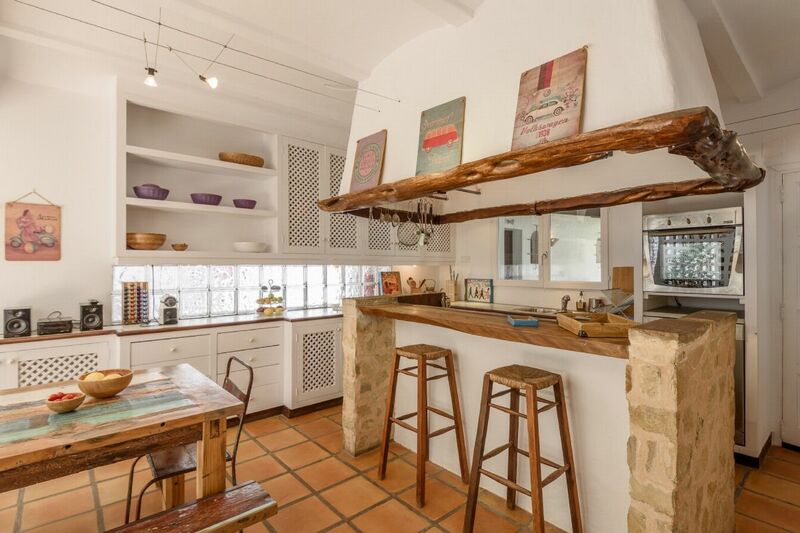 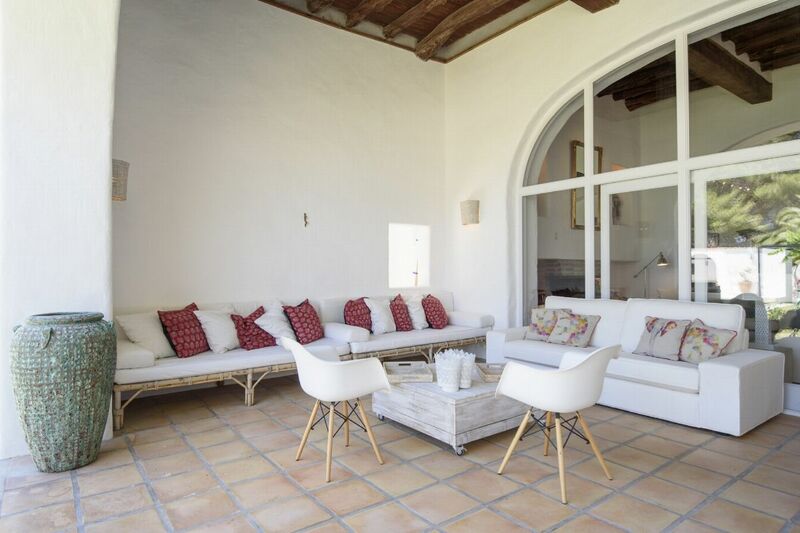 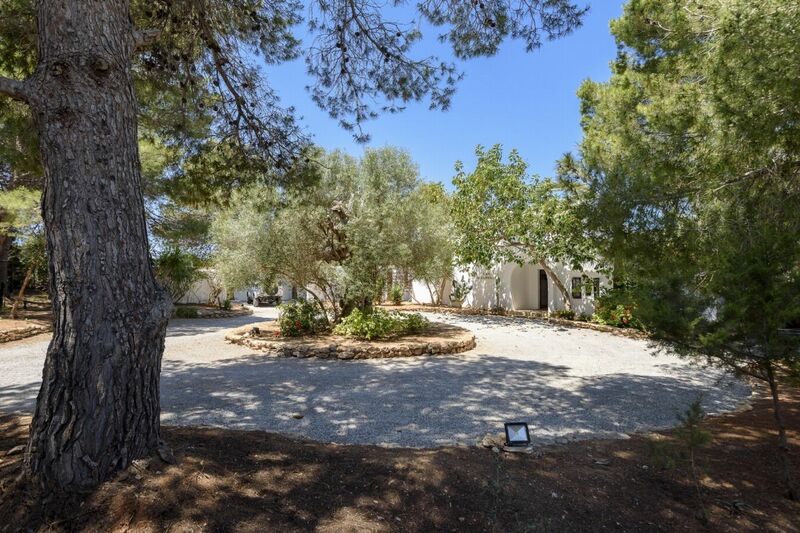 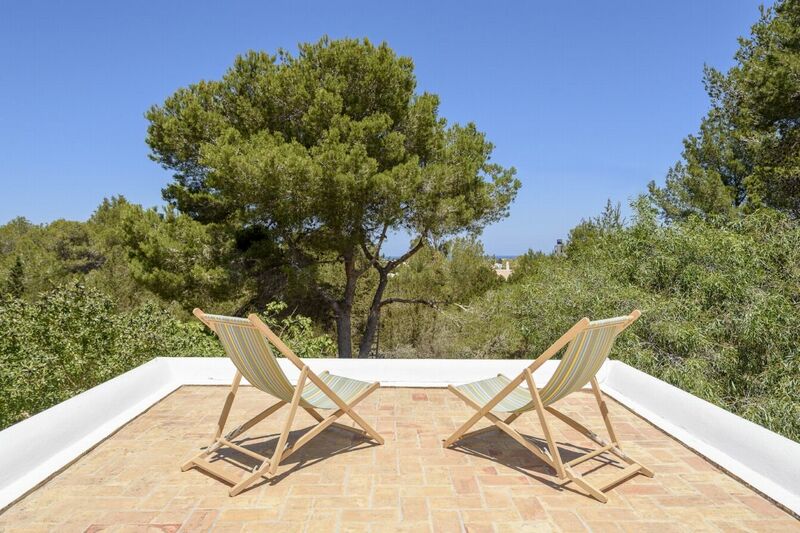 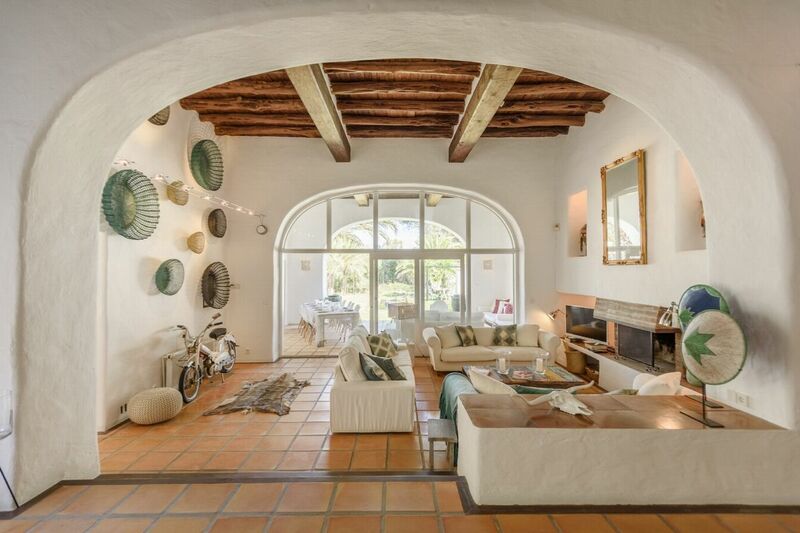 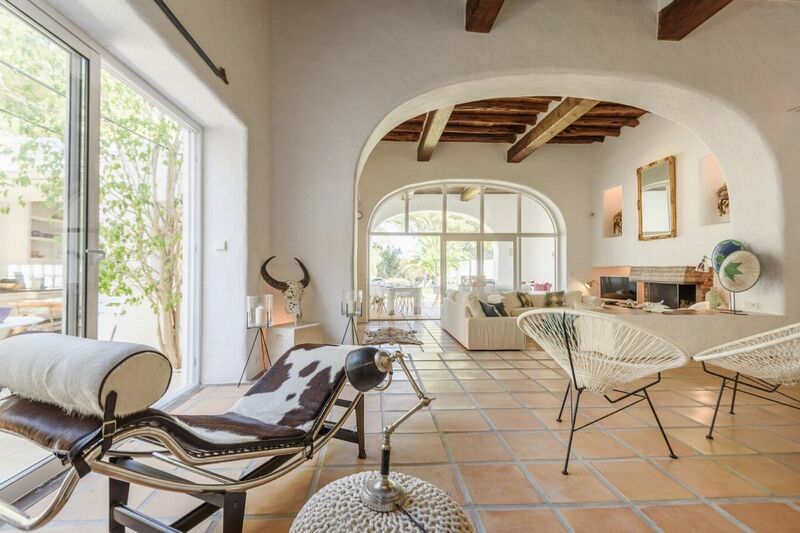 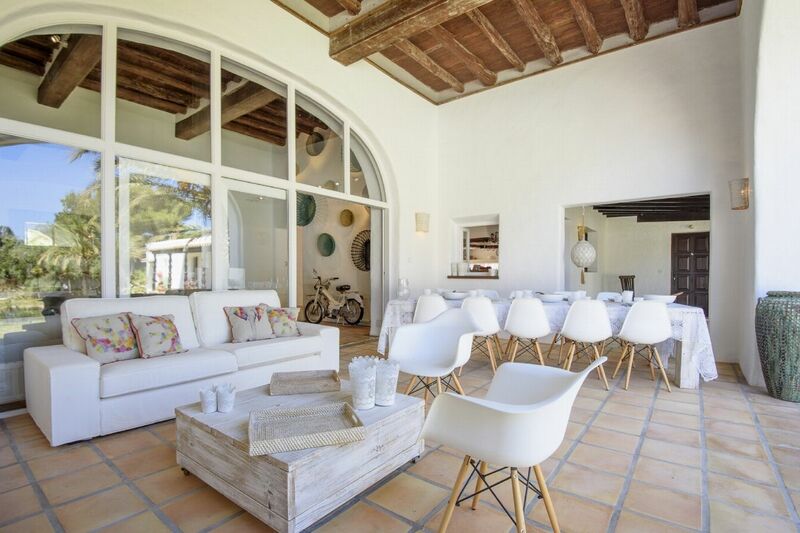 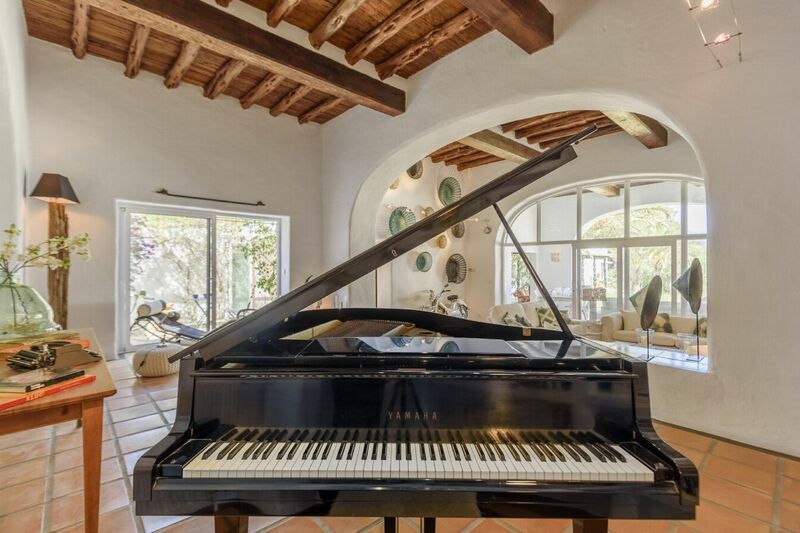 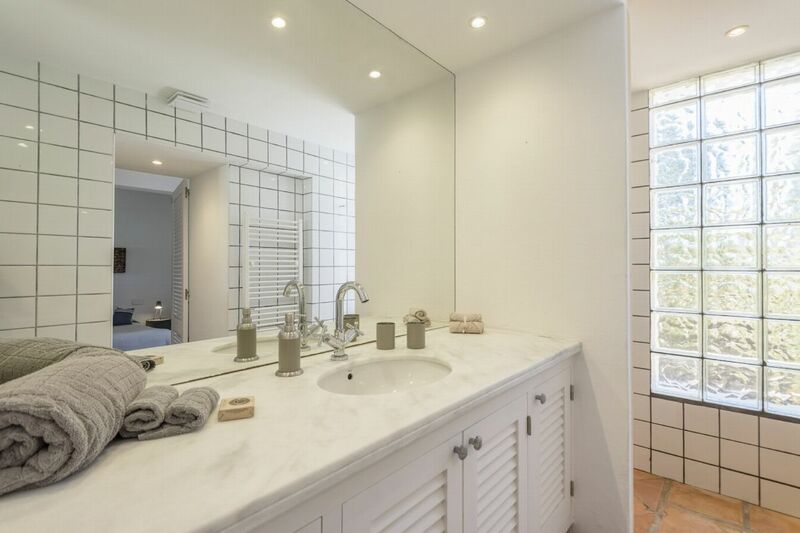 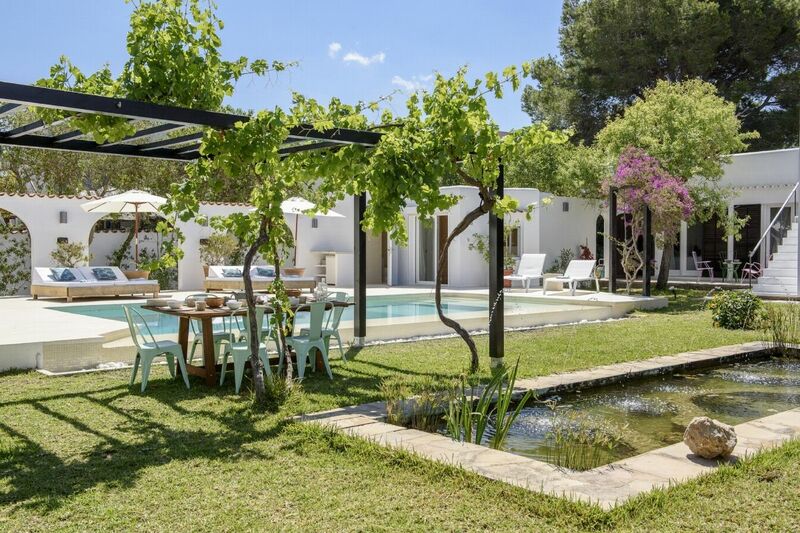 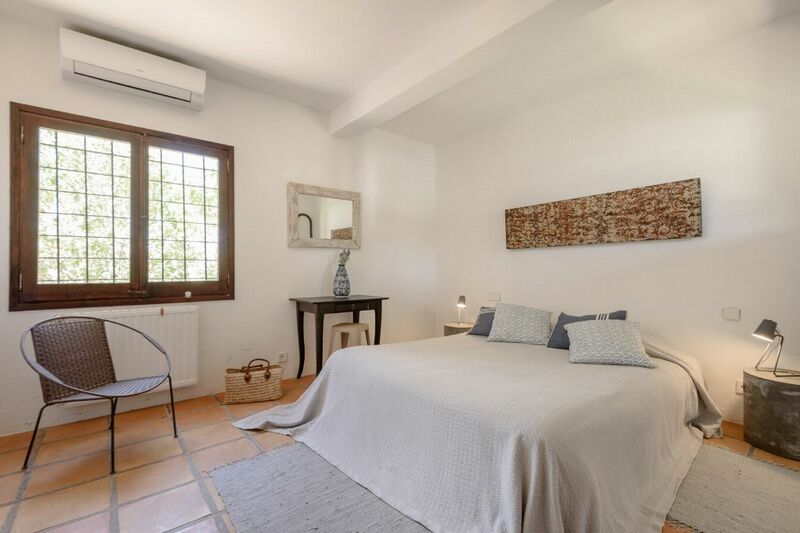 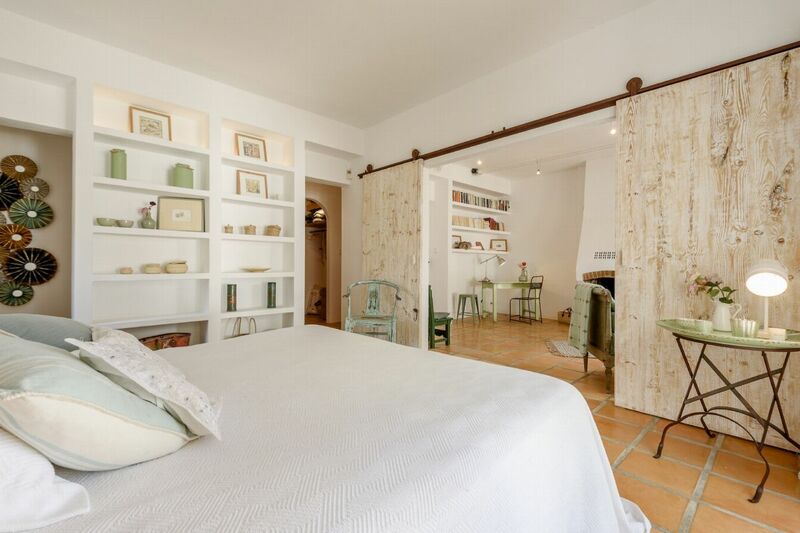 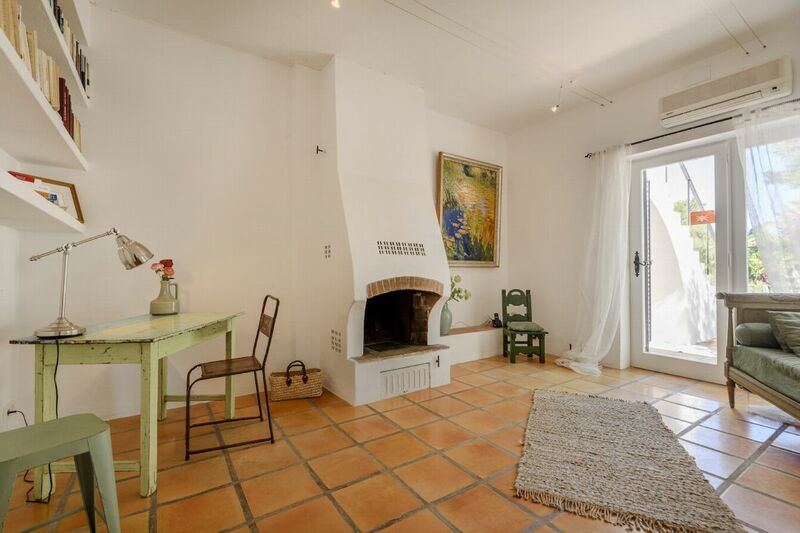 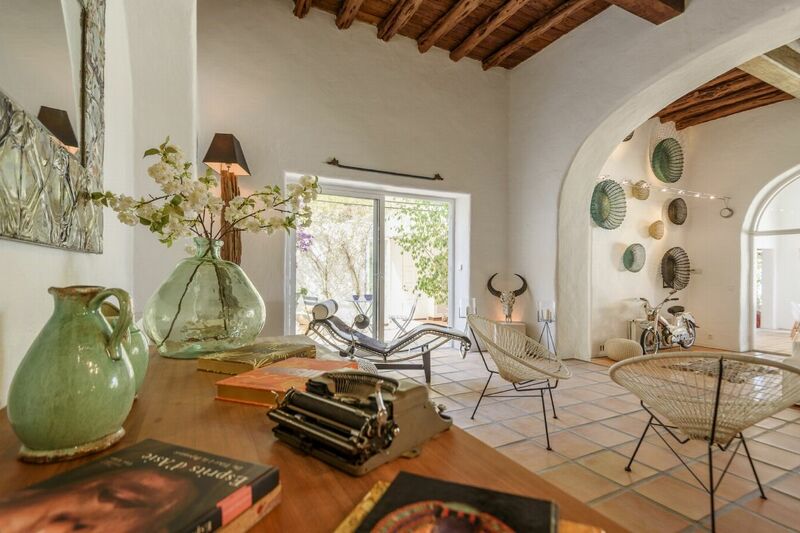 This recently refurbished stylish villa is located in a quiet area within walking distance (just 8 minutes) from Port des Torrent beach and a 5 minute drive from Cala Bassa and Cala Conta beach. 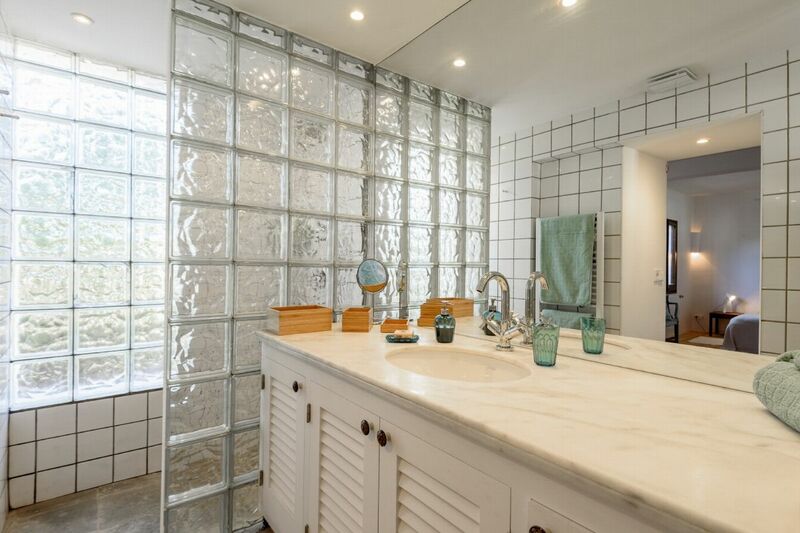 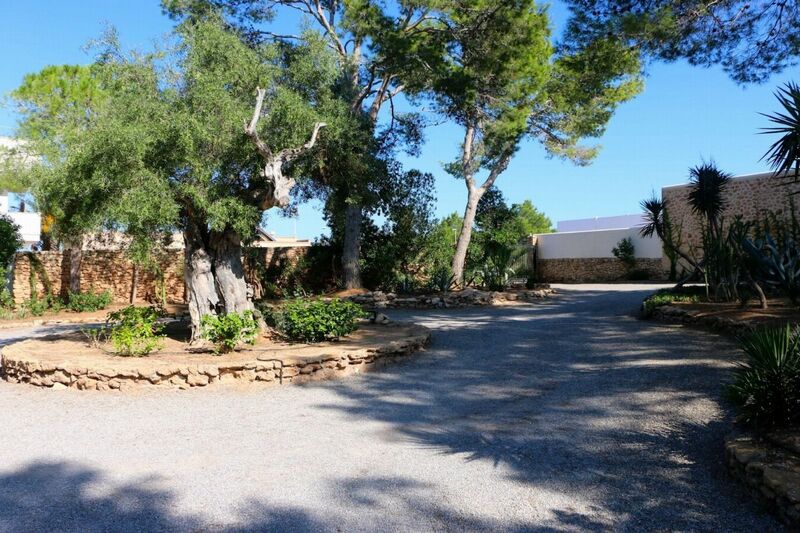 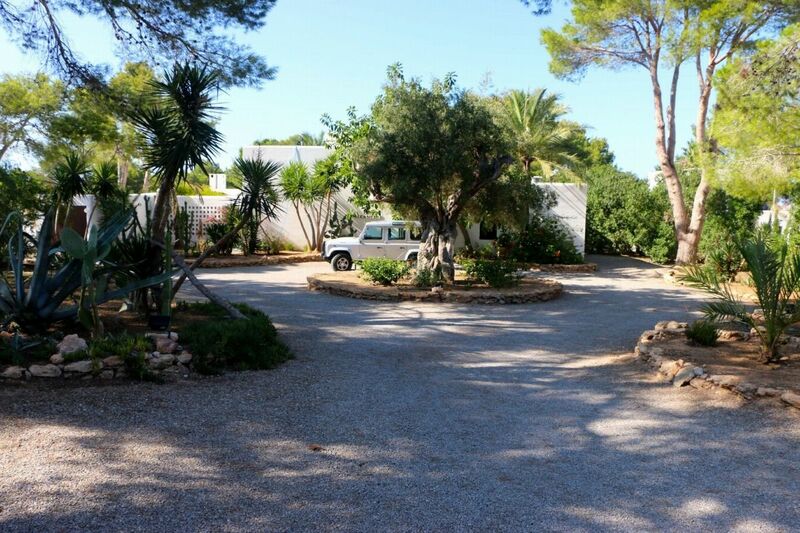 The property has 450 m2 set on an area of 3,000 m2 which is accessed via a fully paved road - there is parking space for 6 cars. 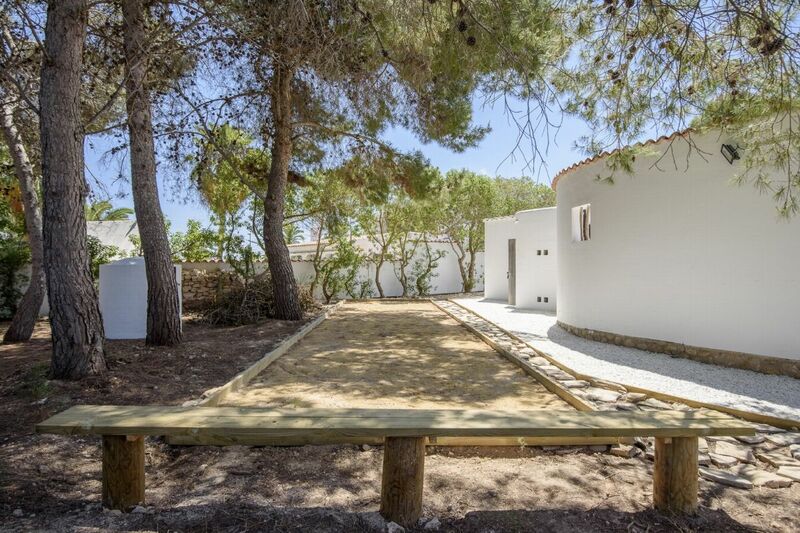 It boasts many terraces with sea views, a beautiful lush garden with several chill-out areas and has plenty of activities as well as peace and quiet, such as - pÃ©tanque, table tennis, basketball hoop, table football, gym and bikes. 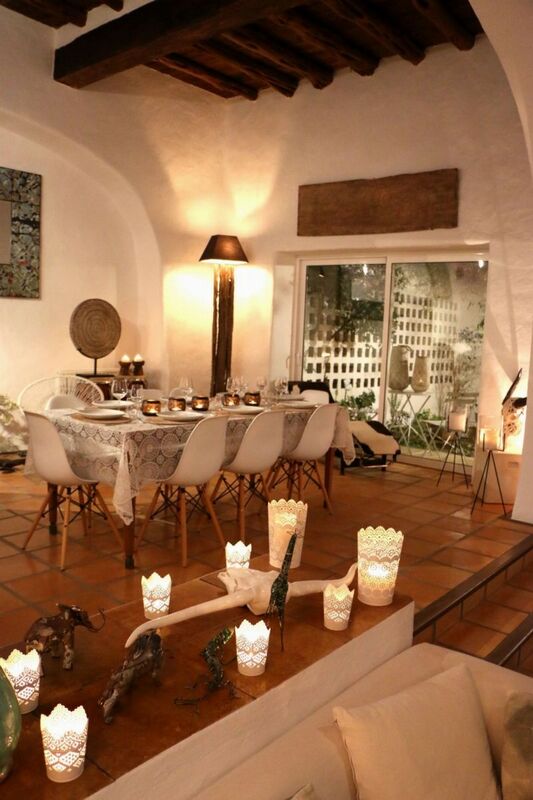 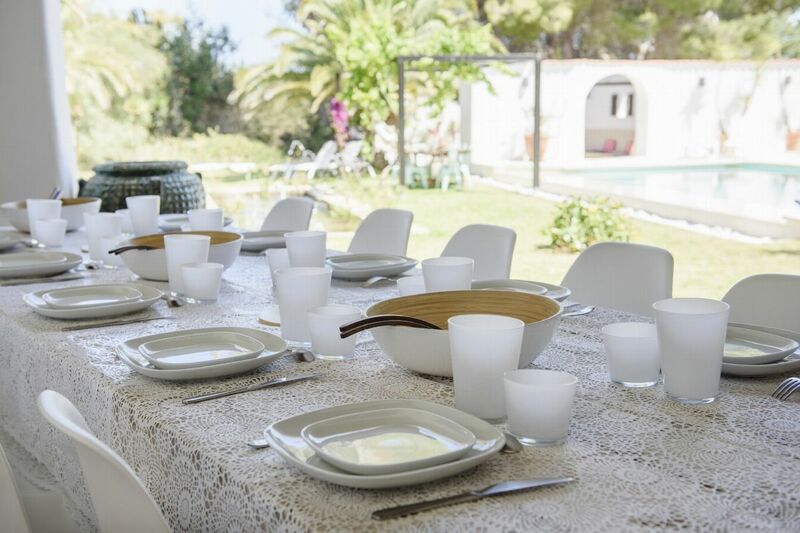 Ibiza's best supermarket 'Es Cuco' is conveniently located just 300 metres away - all of this makes it a real paradise for both couples and families. 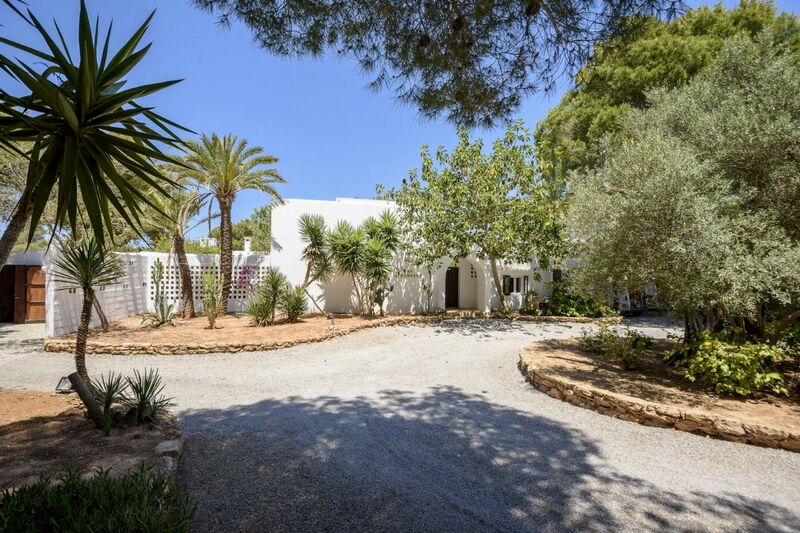 â€¢	Nearest town San Jose 7 min â€¢	Ibiza centre 25 min â€¢	Airport 20 min â€¢	Supermarket 1 min â€¢	Golf course 30 min â€¢	Marina Botafoch 25 min OUTDOOR AREAS The pool area is amazing, surrounded by lawned areas, a fish pond and mature Mediterranean gardens, with several terraces to relax and sunbath, including two separate rooftop chill-out areas, the perfect place to enjoy the sea views. 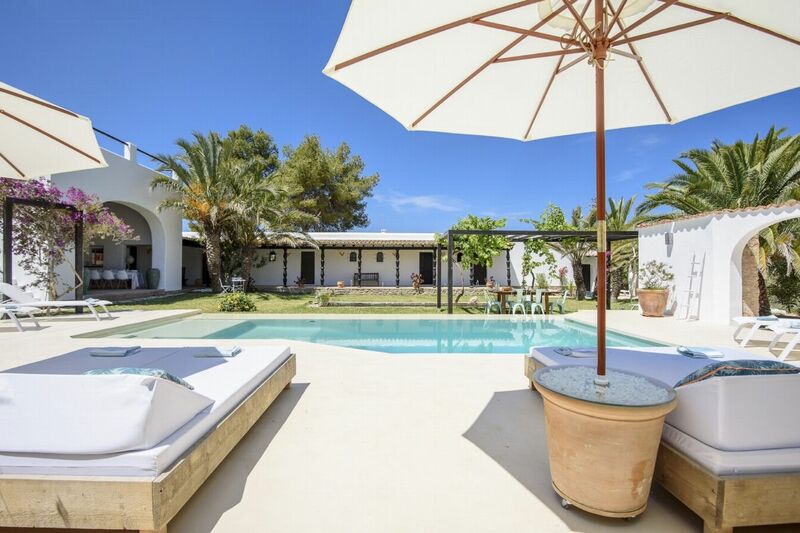 The infinity pool of 10m x 5m has a submerged platform to relax on and is surrounded by 8 single sun beds and 3 double sun beds. 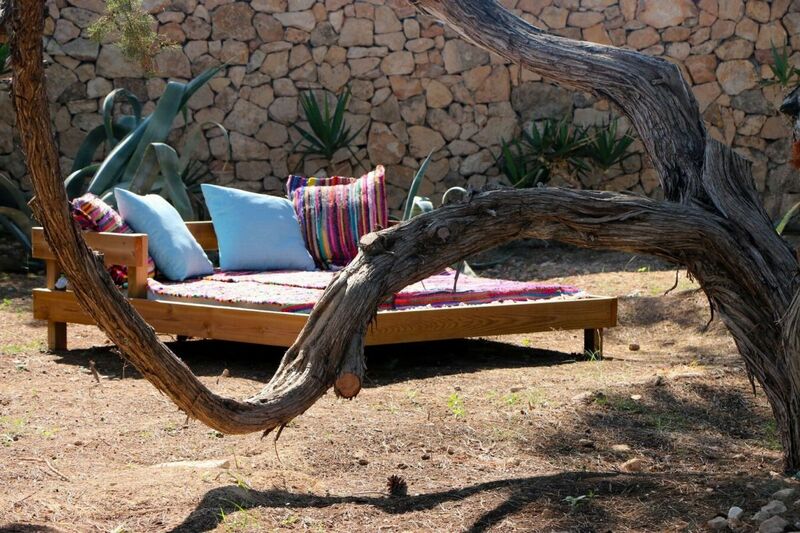 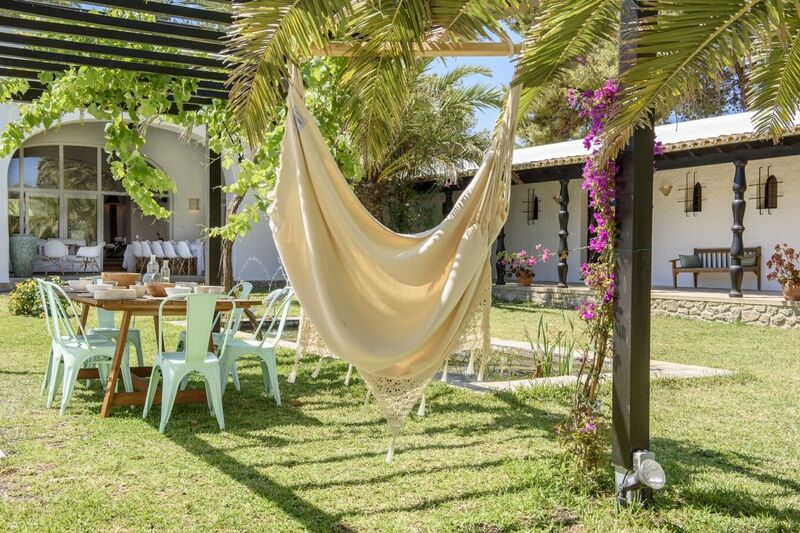 In the garden there is a hammock and hanging chair as well as a wonderful round chill-out area with benches and BBQ (charcoal) under a palm tree and bougainvillea. 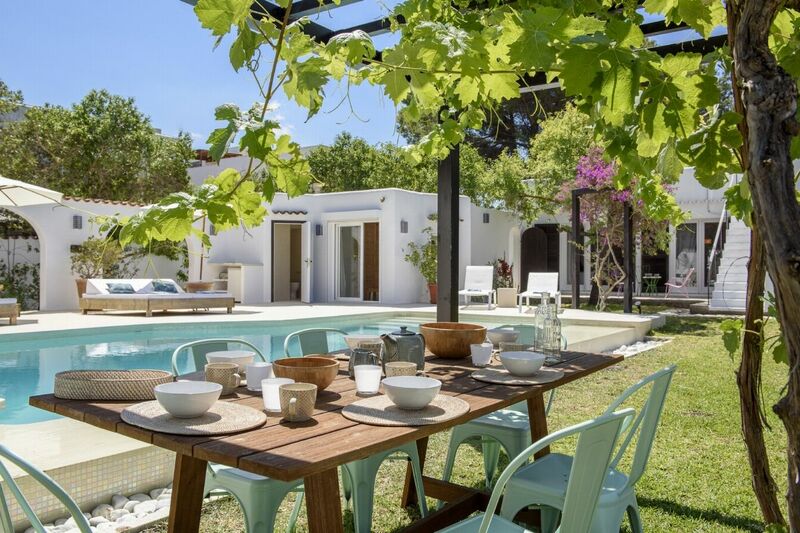 Next to the fish pond under a pergola is the outdoor dining area comfortably seating 12 people. 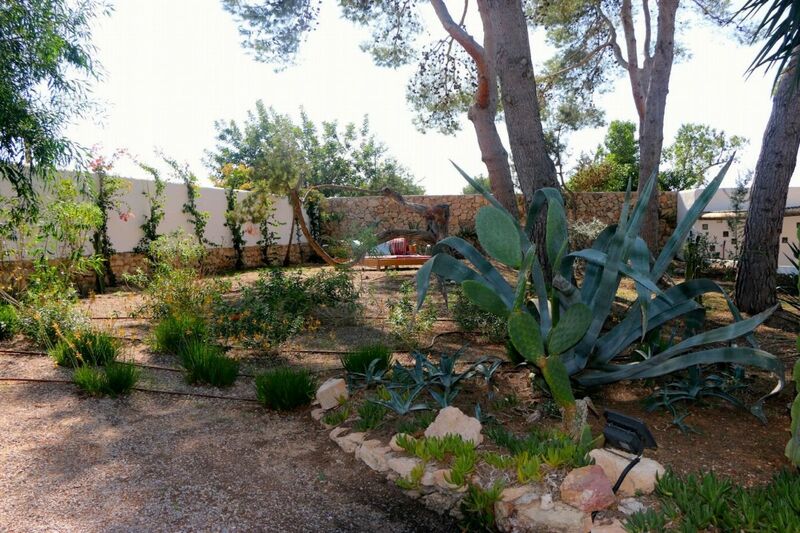 The beautiful mature Mediterranean gardens are fully illuminated at night. 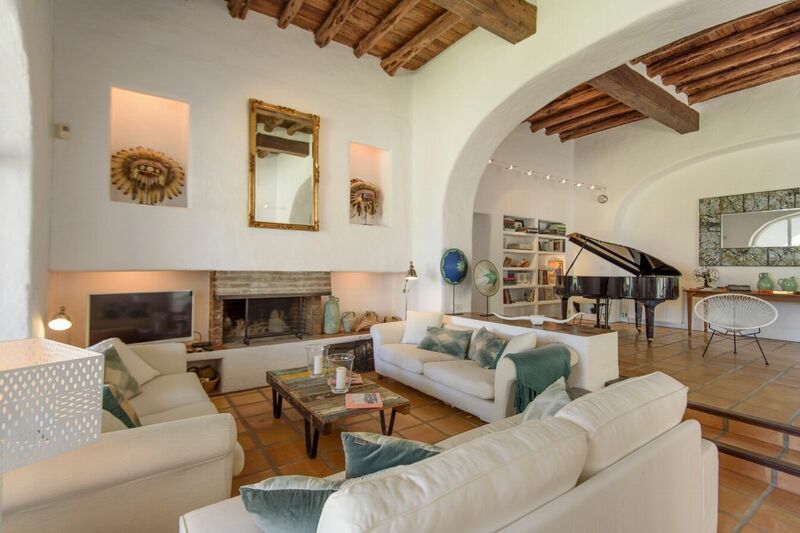 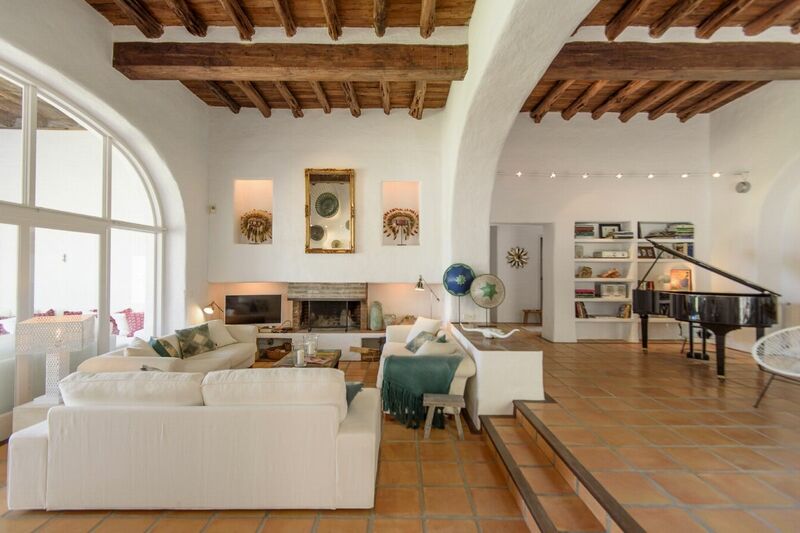 LIVING AREAS The beautiful spacious living areas including a huge open plan lounge with fireplace and a high wooden sabina beamed ceiling, comfortable sofa area, a grand piano and a TV/sound system, opening up onto an outside porch with dining table overlooking the pool area. 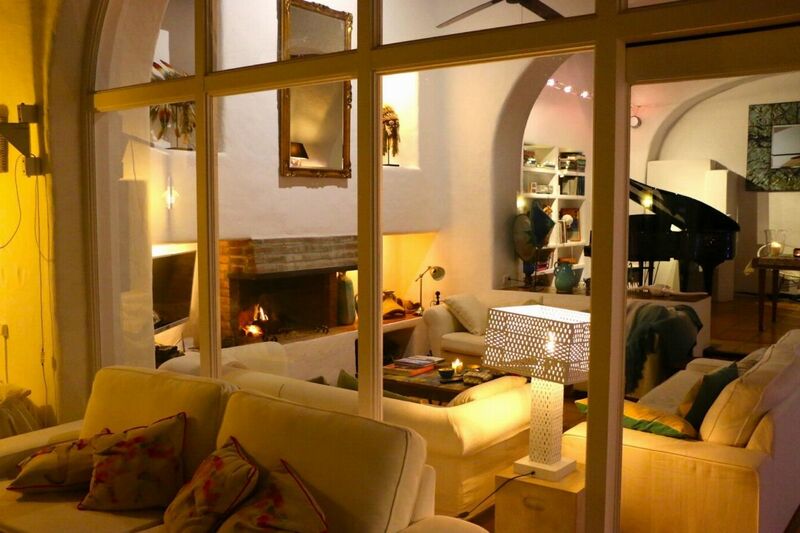 The whole house has central heating and there is access to WiFi throughout. 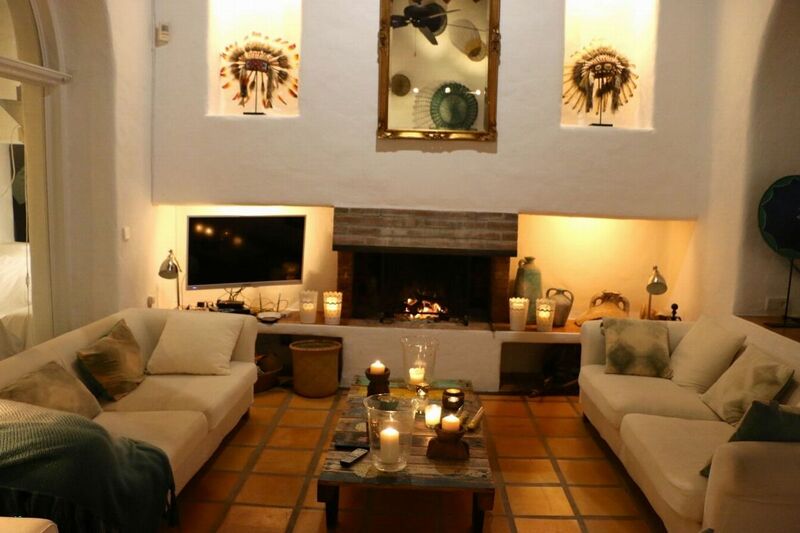 The indoor entertainment includes - Movistar Fusion TV & DVD player and a selection of 200+ DVDs at your disposal. 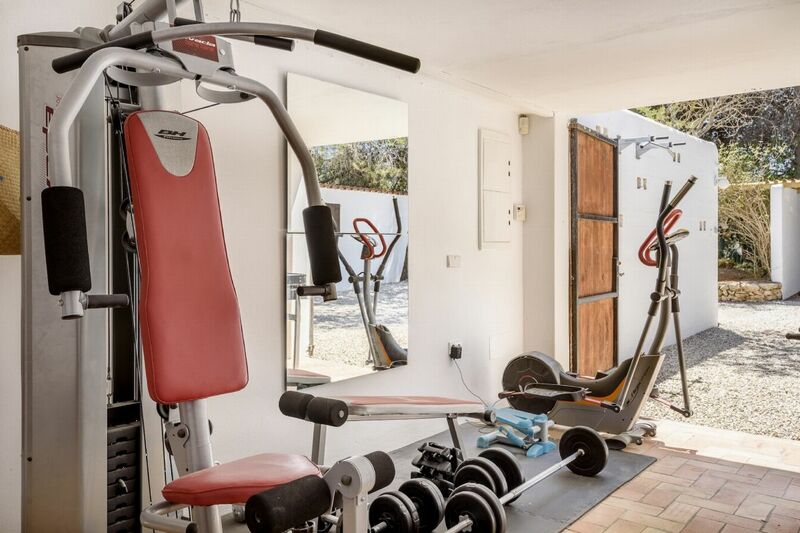 The fully equipped gym includes a multi station machine, elliptical cross trainer, bench, weights, yoga mats and there are 3 bicycles. 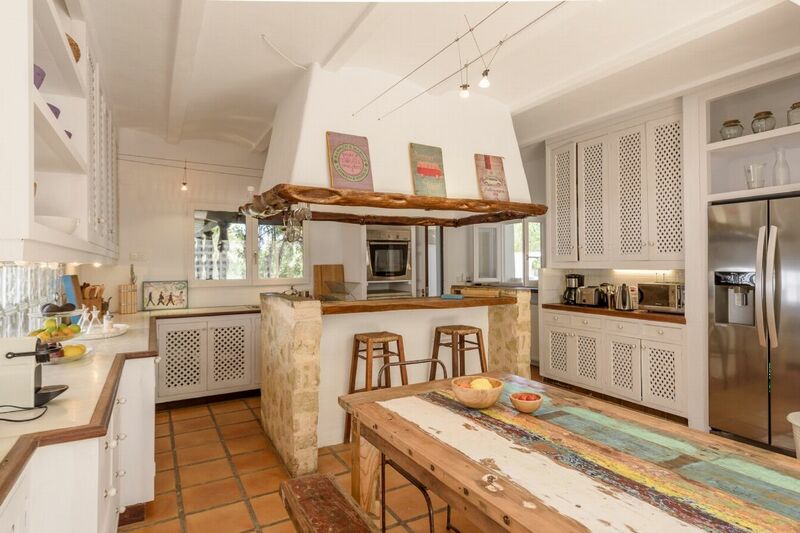 The fully equipped modern kitchen has all the modern appliances you would expect in such a well equipped house, such as a gas hob, oven, microwave, fridge, freezer, dishwasher, coffee machine, Nespresso machine, kettle, blender and toaster. 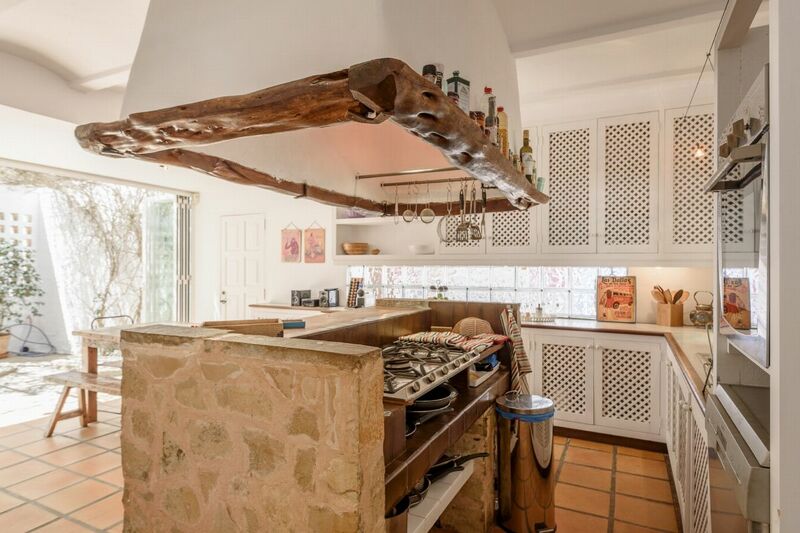 There is a breakfast picnic table for 6 people which opens out onto a patio with a fountain on one side and the porch on the other. 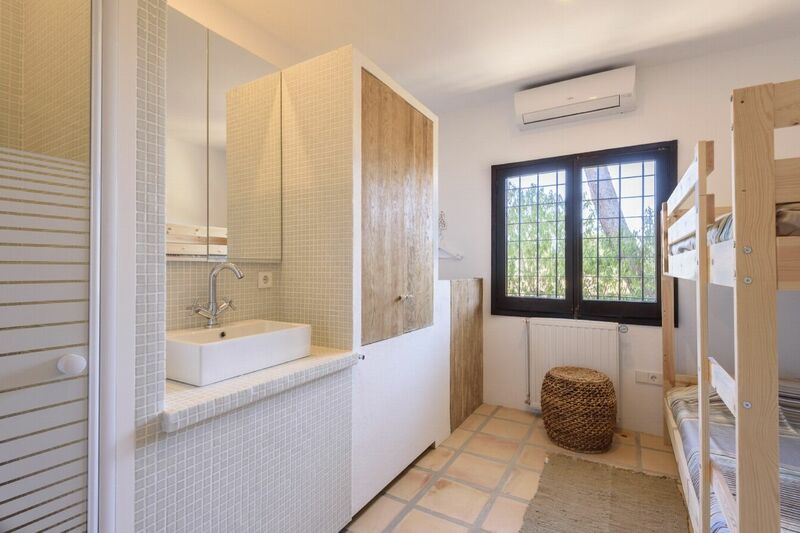 Access to the gym and laundry is from the kitchen and the guest WC is next to the main entrance. 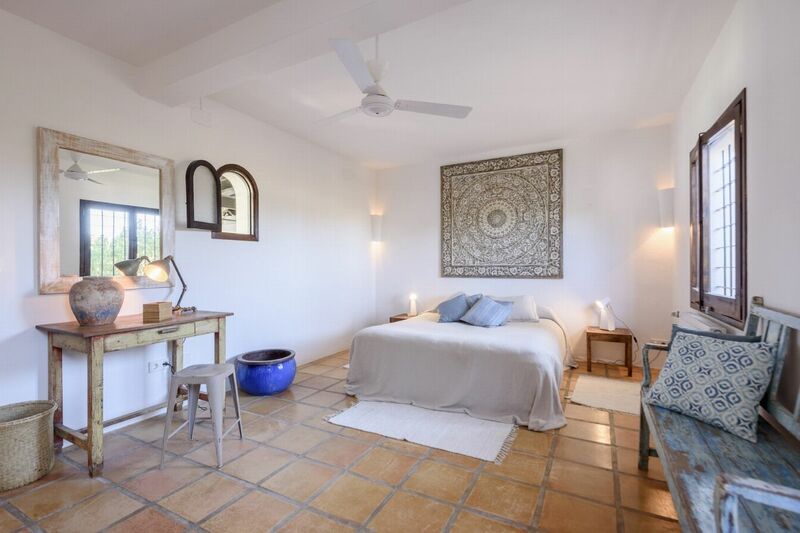 Master Bedroom: King size bed, en-suite bathroom (bathtub & shower), sofa area with a fireplace, desk, walk in closet, safe, sliding doors opening out onto a terrace overlooking the pool area. 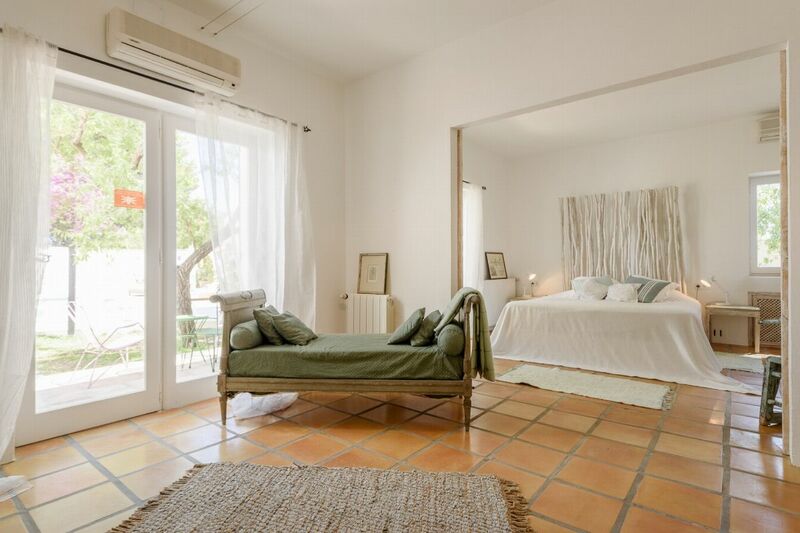 Double bed, small cosy independent guest room, en-suite bathroom (shower), beautiful view of pool and chill out area. 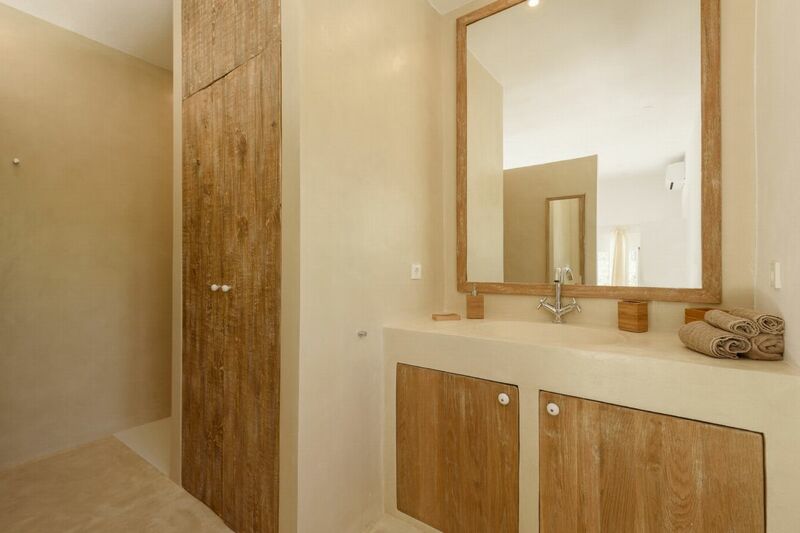 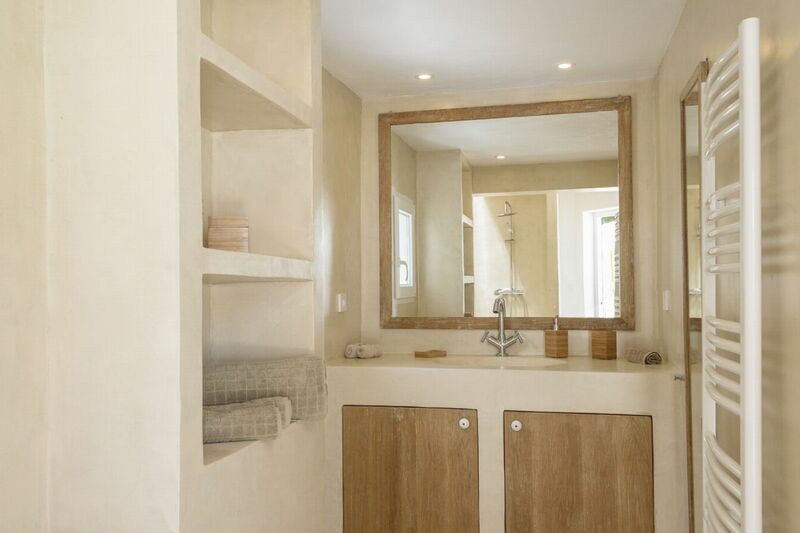 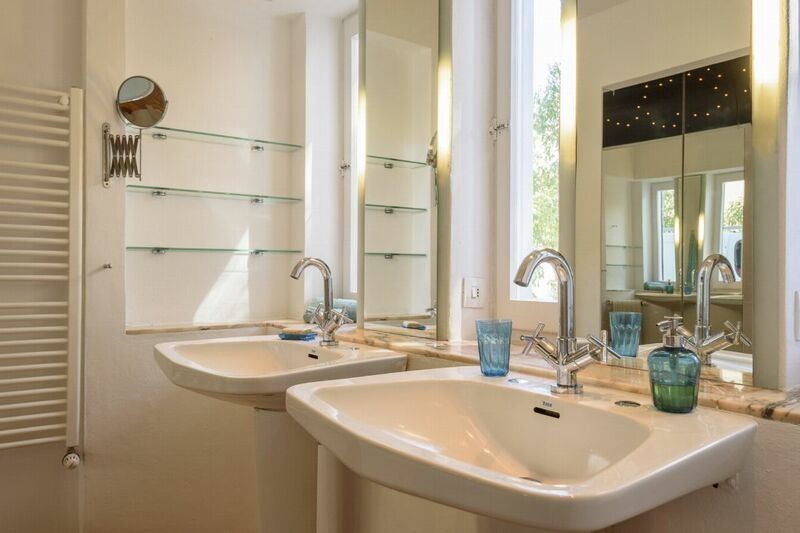 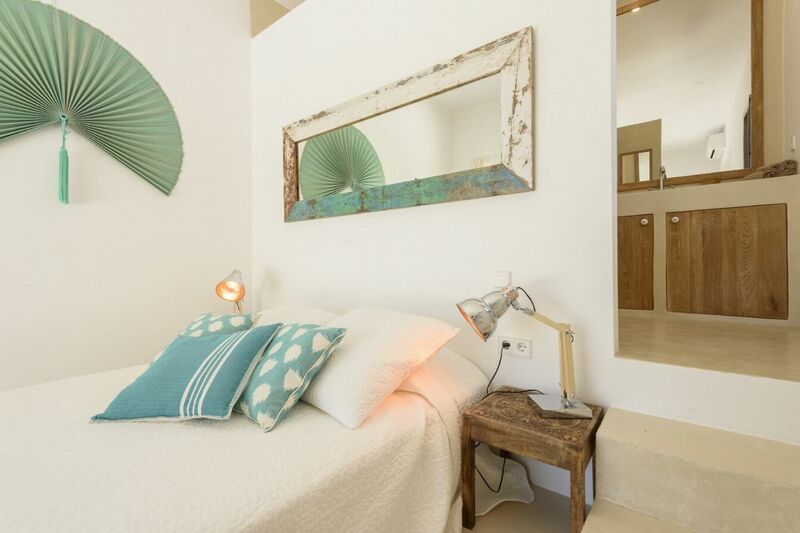 Double bed, en-suite bathroom (shower), access to a private terrace with sun beds, direct access to roof sunbathing area. 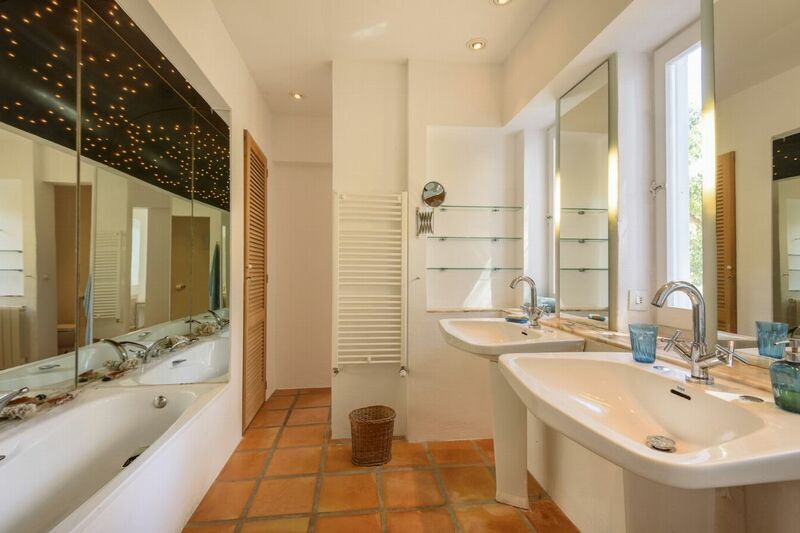 Double bed, en-suite bathroom (shower), access onto the pool area. 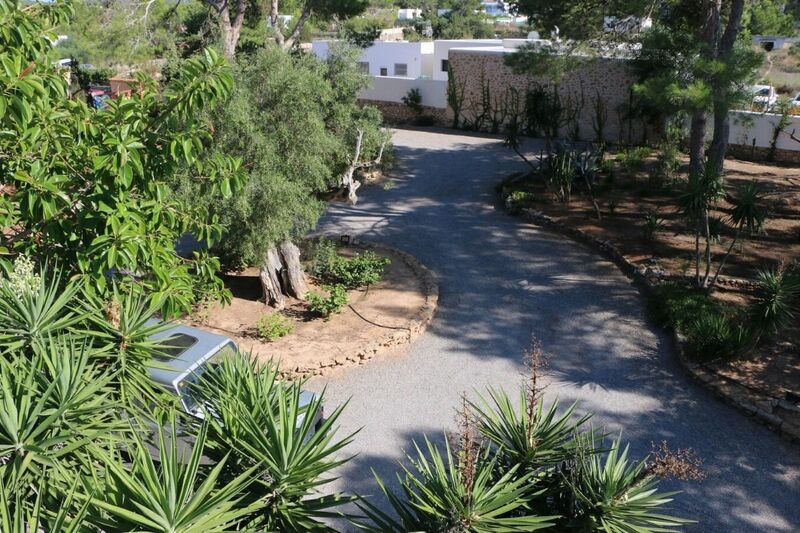 Double bed, large room, safe, en-suite bathroom (shower), access onto the pool area. 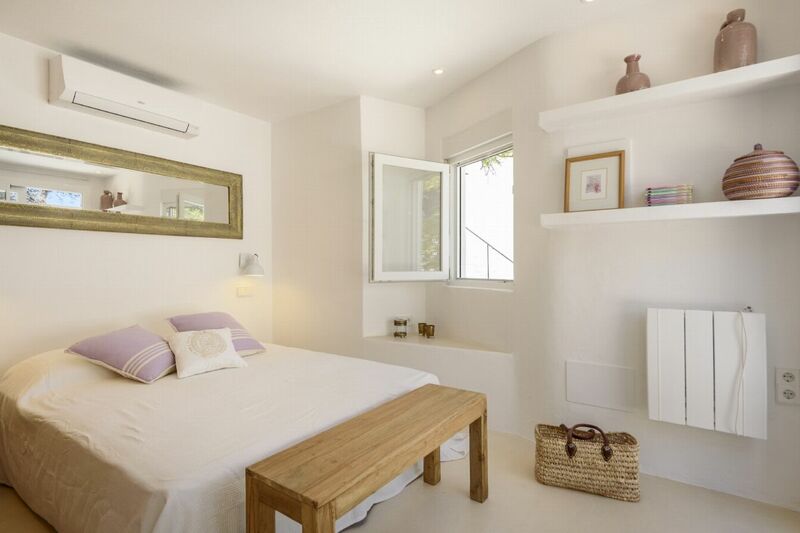 Bunk beds, perfect for staff or children, en-suite bathroom (shower), access onto the pool area. 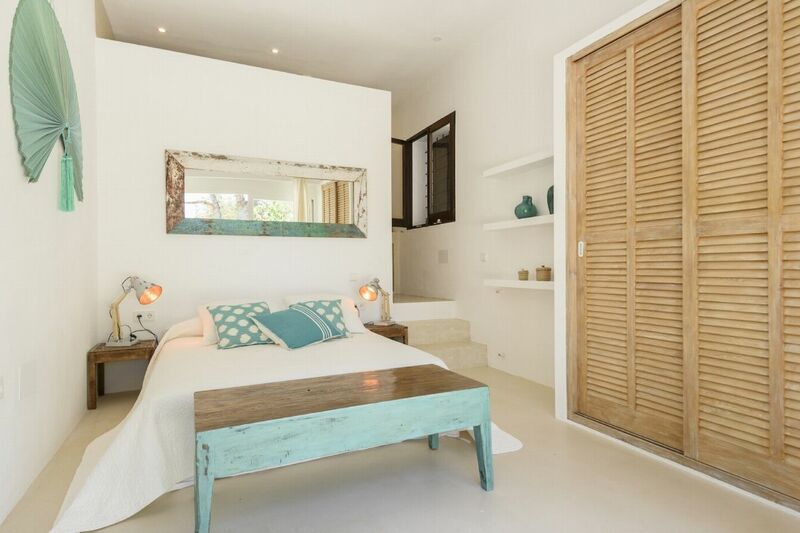 Bedroom 1 - Master Bedroom: King size bed, en-suite bathroom (bathtub & shower), sofa area with a fireplace, desk, walk in closet, safe, sliding doors opening out onto a terrace overlooking the pool area.